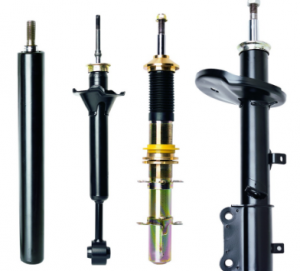 Construction of shock absorbers can be divided into three types: double-pipe hydraulic (air pressure), double-pipe gas-hydraulic (different by filling gas at low pressure) and single-tube gas-hydraulic (high pressure gas). If the combination of hydraulics and gas just seems unusual to you, you should not jump to conclusions. Often, the transitional regimes are required for complete control over the vehicle management. Last but not least, what decision maker sees himself, and why this choice is preferable. The stability of the suspension is achieved only by one type of design, which is not always justified. The main thing to understand – shock absorber design is not as important, like how it fits a particular model of car and why. If the manufacturer explains the reasons why he offers for one car a few options of shock absorbers and as a choice of any of them will affect the driving – he should be trusted. For example, some companies offer the Comfort and Sport shock absorbers, for the respective driving styles. Thus, each of these products is available in all three embodiments of designs. Each has its advantages, features, price differences.